Robert Courts is a door tenant at 3PB and a member of the Western Circuit, the Personal Injury Bar Association and the Criminal Bar Association. Robert has a general common law practice, principally in the fields of criminal and personal especially Animal Welfare, Aviation, Police and Proceeds of Crime Law. In 2009, Robert was the winner of a Pegasus Scholarship to Wellington, New Zealand, injury law. He also undertakes Contract, Commercial and Public & Regulatory law, where he worked for Crown Law Office, the Legal Advisors to the New Zealand Government. Robert is an Accredited Mediation Advocate. Robert Courts is experienced in a broad range of personal injury cases on the multi track and fast track. Robert has a particular interest in psychiatric injuries, noise-induced hearing loss, travel claims and specialised areas of road traffic law such as cycling and motorcycles. Robert also has a particular interest and corresponding experience in the complicated area of injuries caused by animals, for example under the Animals Act 1971 but also under other, less well-known causes of action. Robert has experience of cross-examining, and holding conferences with, experts in many of these areas. He also has long experience across the wide variety of personal injury work, such as employer’s liability, occupiers’ liability, highways claims, fatal accidents, low velocity impact cases, accidents at work, and the costs issues arising out of them. Robert also has experience in representing interested parties at inquests, for example arising out of industrial accidents or mesothelioma. Hobbs v DGB Windsor Ltd (2012) LTL 29/6/2012 - High Court mesothelioma assessment of damages. Advising on Occupiers’ Liability cases, involving for example local authorities and hotels. Robert is happy to and regularly lectures on various topics including “Animals Act 1971 - Claim or not?” and caselaw updates. In 2009, Robert spent four months in New Zealand, working for Crown Law Office - the government’s legal advisory department - as part of a Pegasus Scholarship award. As part of his stint in the Social Services and Employment department (whose remit also includes defending tortious claims against government departments,) Robert spent most of his time working and advising on matters arising out of psychiatric injury – nervous shock as it is sometimes called – in which Robert has had a particular interest since University. Robert has a keen attention to detail and brings a clear-sighted judgment on all matters in which he is instructed, such that he is able to distill complicated matters to their essentials for presentation either to clients or to the Court. He is instructed by both claimants and defendants and accepts instructions under Conditional Fee Agreements in appropriate cases. Robert is a member of the Personal Injury Bar Association. Robert has long experience in energy-related debt recovery matters. He appears in the County Court for trials as well as interlocutory matters such as summary judgment applications, as appropriate. He is familiar with the system-related and documentary problems that arise when representing a large company, particularly when dealing with litigants in person. Robert has particular knowledge of arguing the “deemed contract” provisions for electricity and gas in front of Courts who are not familiar with the concept, and has dealt with trials arising out of debts owed  in relation to individual premises, as well as commercial, be they takeaways, restaurants, factories, hotels, shops or in a landlord & tenant context. Robert also has an interest in matters arising out rights of entry (under the Rights of Entry (Gas and Electricity Boards) Act 1954) in the Magistrates’ Court and has provided in-house training in that respect to energy company officers. Robert has long experience of prosecuting and defending Trading Standards matters. His most significant case was Oxfordshire Trading Standards v Bateman & Merriman, a five week, three-handed case in 2011. Robert defended the lead Defendant against leading Counsel. This was a factually complex case involving allegations of systematic fraud and breaches of CPUTR against elderly, infirm and vulnerable people with significant  financial loss, and issues of expert evidence arising out of technical aspects of building work undertaken. Building on this experience, Robert’s predominant interest is now in prosecuting for local authorities, be this for Trading Standards departments at County Council level, or similar agencies at District Council level. Robert is currently involved in a major prosecution arising out of extensive investigations on behalf of a local authority that is likely to come to trial within the next year. He has significant experience of the sometimes complicated issues arising under the Consumer Protection from Unfair Trading Regulations 2008, including aggressive and unfair practices, how the same interact with fraud in some cases, as well as the disclosure and tactical issues arising out of long and detailed investigations. 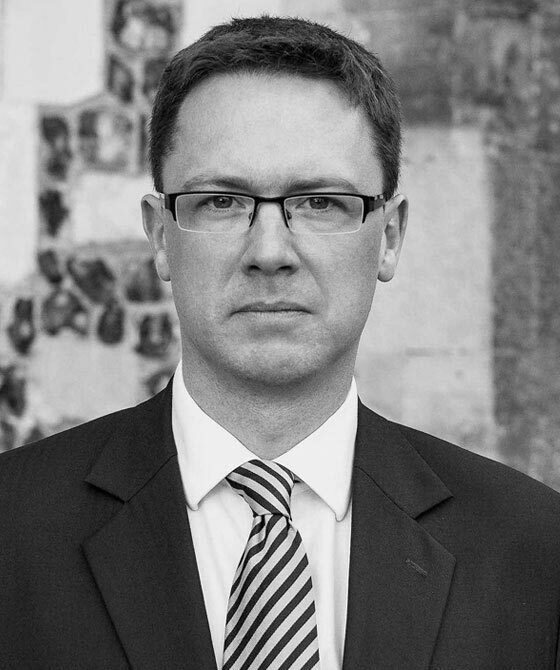 Robert further has experience of and accepts instructions to prosecute under the Environmental Protection Act 1990; fly-tipping being the most prevalent concern in the Oxfordshire area. Robert is an experienced advocate in licensing hearings, for both traditional licensed premises and ad hoc applications, both at committee stage and appeal, in a practice area that is a compliment to his specialised Trading Standards prosecution work. His licensing practice is largely local to Oxfordshire, but Robert will undertake appropriate cases elsewhere. appearing for the Respondent in an appeal against revocation of an alcohol sales license for a corner shop on the south coast. Robert is particularly experienced in dealing with the detailed and thorny issues arising out of local  authority policy, such as saturation areas.